Previous winners (of Sartorial Elegance Award): 2012 – Thomas Voeckler. 2013 – Taylor Phinney. 2014 – Marcel Kittel. 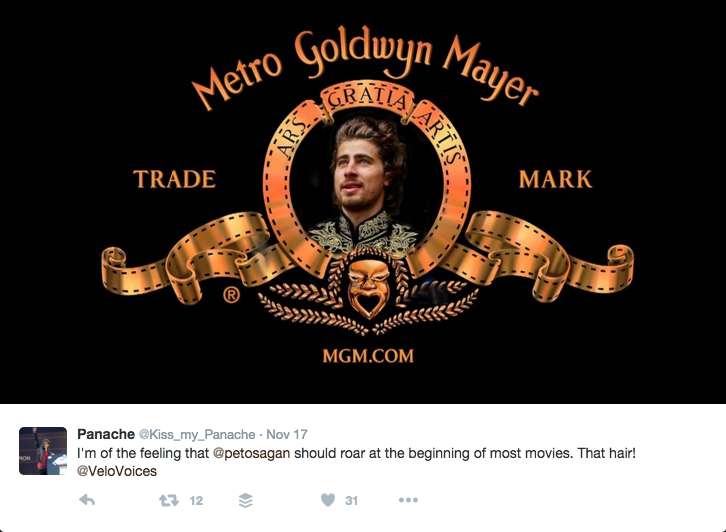 Peter Sagan: We haven’t seen a mane like this since, well, the MGM lion! 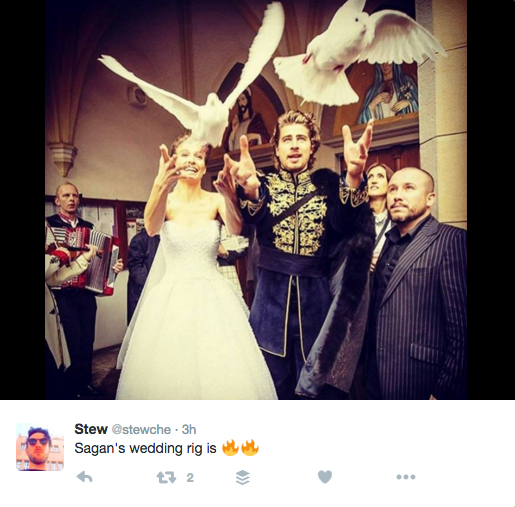 Peter Sagan’s thick locks have just been getting more luscious with every hour. His hair nearly outshone that of his new bride on their wedding day. 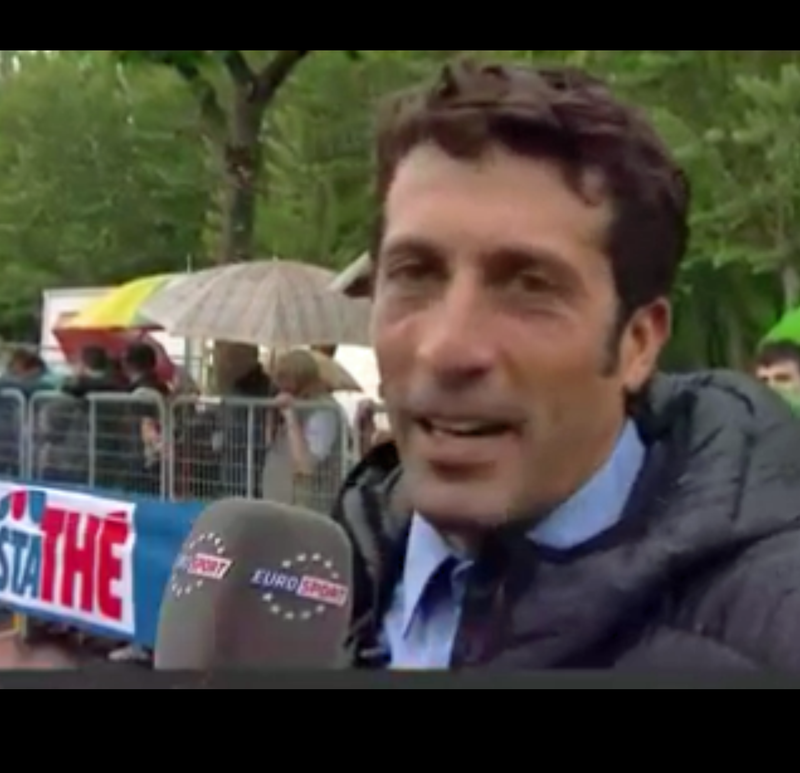 Moreno Moser: The Cannondale rider with the thick thatch of hair is our next nominee. It’s hair that defies gravity! 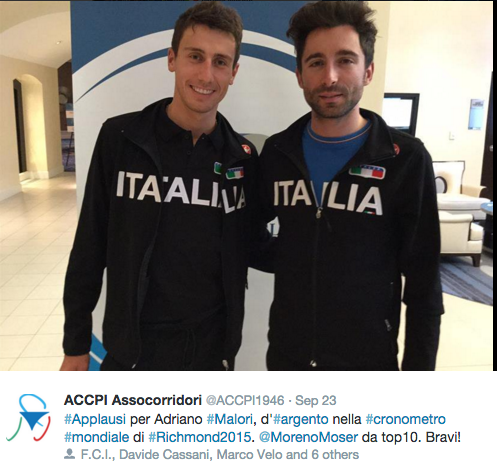 We might call Romain Bardet ‘Bedhead’ but I think Moser gives him a run for his money on that score! Laurens Ten Dam: This might be more most hair rather than best hair. 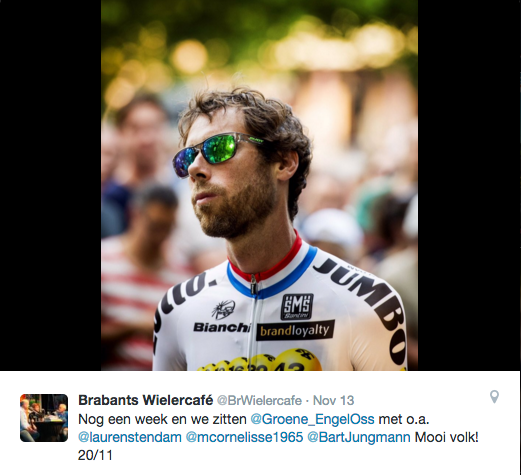 The Wolfman is almost certainly the most hirsute rider in the pro peloton. His hair – including all of that on his face – seems to have a life of its own when he’s in full flow during a race. 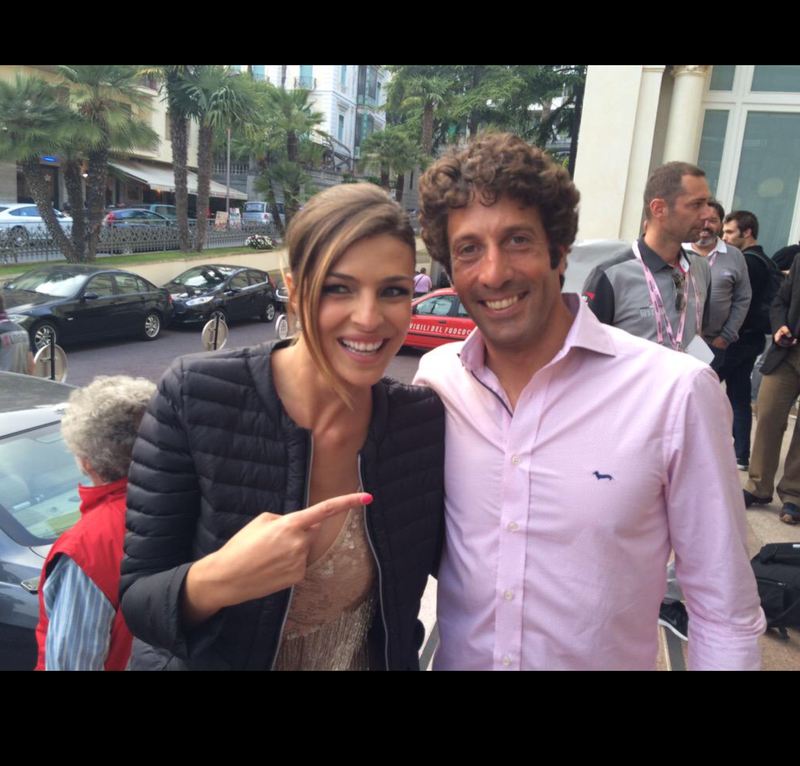 Juan Antonio Flecha: With Our Hero in front of the camera this year instead of in front of the peloton on a lone attack, appreciation of JAF’s magnificent curls reached fever pitch. Particularly in May, when he tweeted that he was looking for someone to cut his hair – known forever after as #Curlgate. Fans were on tenterhooks until we saw that, phew, even without the curls, his hair was still magnificent. Daniel Oss: Last but not least, our fifth nominee is cultivating ‘madness in the form of hair’! A wild rider during races – you just never know what Daniel is going to do but you can be sure it’ll be audacious – his hair seems to embody that all-out attitude. Look at that! 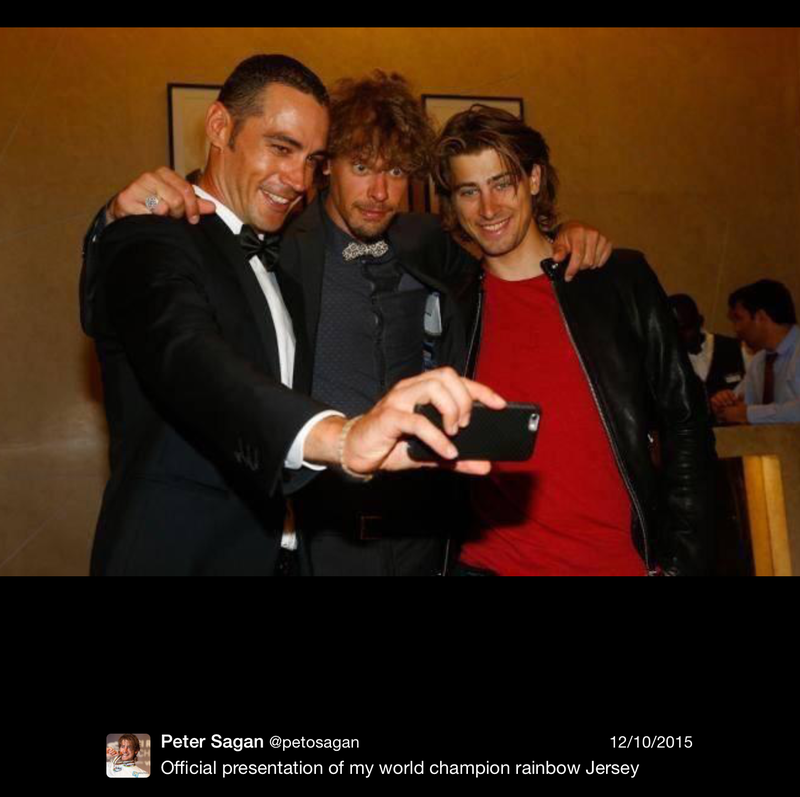 Sagan is so awesome he even wins the cycling polls he participates in! The dude is AMAZING! Chapeau! Daniel Oss with the hair/wide eyes combo does it for me. 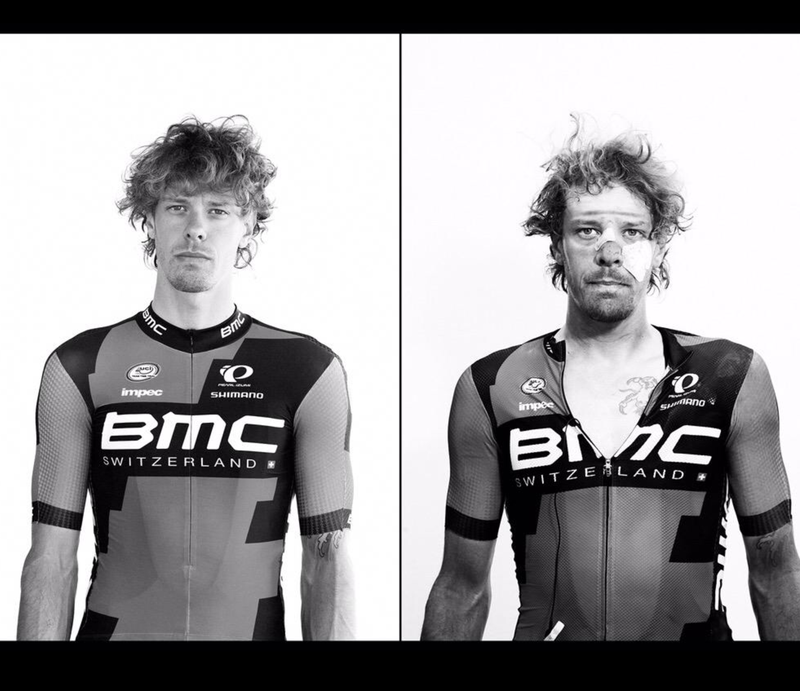 Can I just mention Tyler Farrar’s ponytail. Not because it’s a contender…of course it’s not! Just wanted to raise awareness. Can someone have a word?